As you can imagine me and Lauren had BIG FUN making this one! As ever BIG THANKS to Lauren Courtney for her fantastic prop making skills. 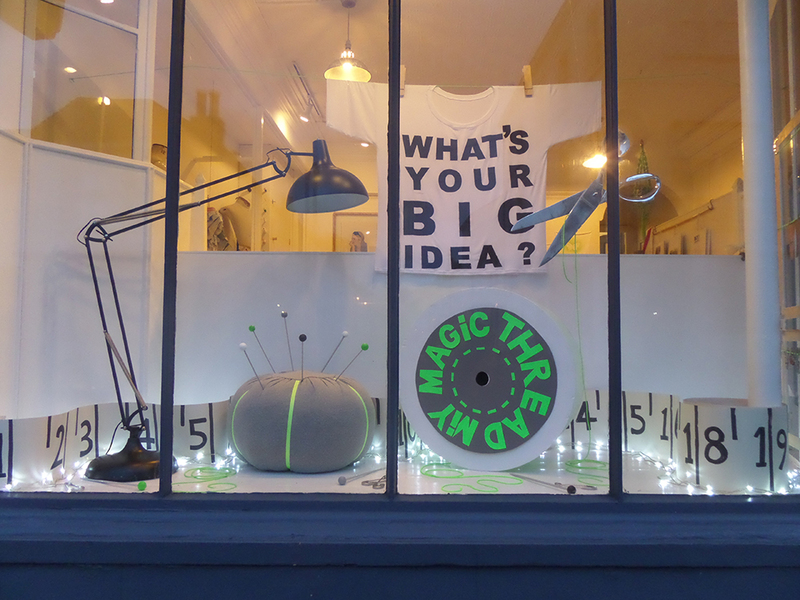 Looks like I’ll be having a pin cushion shaped pouffe when we replace this window and I’m still wondering what I’ll do with that t-shirt…..any ideas?! 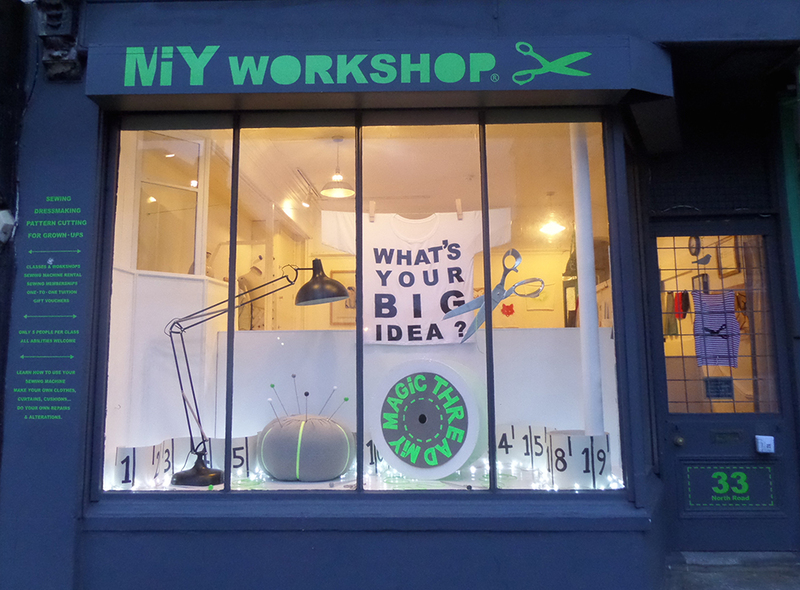 This entry was posted in MIY Workshop and tagged big sewing props, lauren courtney, learn to sew brighton, MIY Workshop, sewing classes Brighton, sewing window display, visual merchandising, Wendy Ward. Bookmark the permalink.